Looking for legitimate ways to build links for SEO? Here’s how to start. Links are an important part of any SEO strategy. From internal links that help guide users through your site to the external links that bring referral traffic, a healthy link network will improve your site performance and earn approval in the eyes of Google. That said, there are right and wrong ways to build links. Typically, links are an indication that your content is important and relevant. Google sees another site link to you (particularly a domain with strong link authority), and they take it as a sign that your content is useful. However, because this is a known link factor, many unscrupulous SEOs will use underhanded tactics to build links illegitimately. For instance, they will spam other websites with links to their own site, or set up a range of cheap domains and sell links to unwary businesses. Not only do these schemes not work, they will quickly land you in trouble with Google. 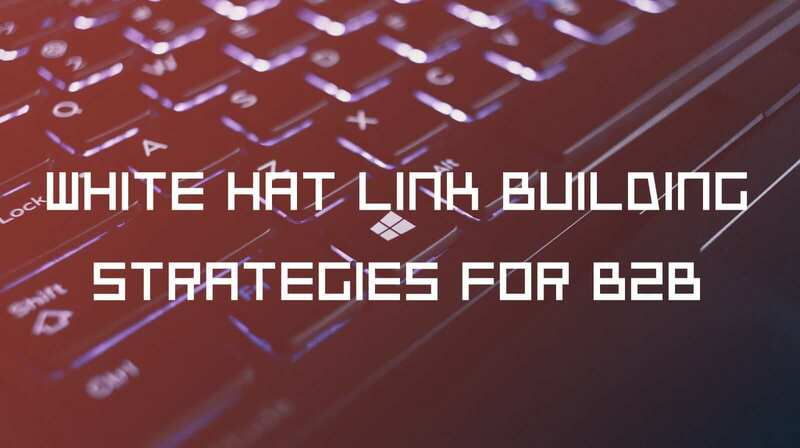 If you want to build links the right way, here’s where to start. 1. Write amazing content that will earn links. This is the most basic way to build links, so it’s worth starting here. If you’re writing good, useful articles, that people will want to read and share, then you stand a good chance of building up some links the old-fashioned way. However, while this is a key reason for investing in high-quality content, it can take a long time for those blogs to get traction all on their own. Yes, you can earn links, and yes, there are many other reasons why you should be writing those blogs, regardless of whether anyone links to them. But if you truly want to invest in a link-building strategy, you have to work harder. 2. Offer to write guest blogs. Here’s a strategy that many content writers are happy to embrace: offer to write a guest blog. Anyone who’s worked hard to write content on a regular basis knows how welcome a break can be. Having another writer step forward with a high-quality post is just such an opportunity. That said, you do need to do your research. If you offer to write a post for someone who has a different brand, or if you don’t actually write a quality blog post, your article may not be accepted. After all, even as a guest blogger, you still need to be a good fit for their brand. So, don’t expect everyone to jump at your content the moment it’s offered. You may have to shop your article around a bit before someone bites. When they do, be sure to include a link in your blog post back to one of your own articles. That way, someone reading your post on the other site will have a reason to come visit yours. 3. Get listed on a reputable directory. Directories are a dime a dozen, and many of them aren’t all that valuable. That said, you should find out about any good directories in your industry and make sure your business is represented. For instance, a listing on a Chamber of Commerce directory is worthwhile. 4. Do some broken link building. One of the other common link-building strategies is to look for other people writing blogs in your industry, and reach out to them to ask if they would link to you. It’s a grueling, pavement-pounding strategy, it’s often discouraging, and you put yourself in the way of annoying some people who are tired of content marketers asking them for links. I’m not a fan, but it can get you some links over time. However, there’s a better way to do this strategy, and in a way that isn’t blatantly self-serving. Instead of reaching out to someone ask asking them to do you a favor, do them a favor first by finding broken links on their blog. Broken blog links are a usability problem, because no one wants to click on a line of hypertext and find themselves at a 404 dead end. By finding broken links in a blog that’s related to your topic, you’re lending the content creator a helping hand. You can then offer your own blog post as a fitting substitution for the broken link, and everyone wins. 5. Create a valuable resource. We already covered how content creating can help earn you links, but not all content works the same way. For instance, you could write an amazing think piece, and it could raise your profile in the community. Or, you could compile a deep reference list and earn links based on that resource. People may not know you for your ideas and opinions, but they will find your compilation highly useful. 6. Connect with your community. Finally, make inroads with your community. Host an event. Speak at a conference. Do something newsworthy, and send out a press release. In short, take your link-building strategy to the streets. Just because you’re not on the Internet doesn’t mean the Internet won’t talk about you. Whether you make a name for yourself locally or in your business circles, the hard work you invest in engagement will establish you as a community leader. And when you build your reputation, you will build your links at the same time. Link building is hard, but a link you earned honestly will get you farther than cheap ones. There’s no easy way to win links. For most businesses, making a piece of content go viral is about as likely as winning the lottery. If you’re going to gain recognition fast, you either have to be exceptionally lucky, or do something truly amazing (which is hard in its own way). No, the surest way of gaining links in the long run requires long-term dedication. But when you build up gains, they’ll last longer. Get your free copy of our guide to smarter marketing in 2019!